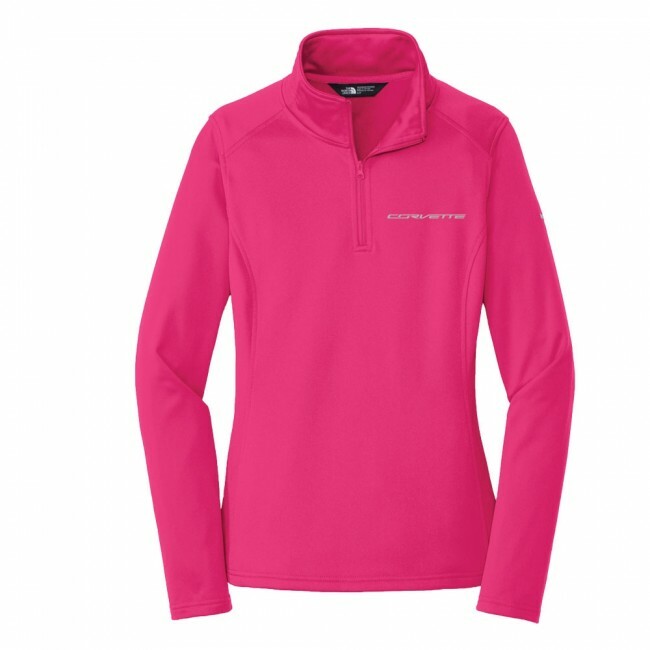 This North Face® piece is sure to become your next go-to fleece. Made with 100% polyester fleece with soft-brushed interior. Features a cadet collar with modern stitch details. Reverse-coil quarter zipper. Dries quickly to minimize heat loss. Embroidered with the Corvette signature on the left chest and North Face® logo on the left sleeve. Imported.